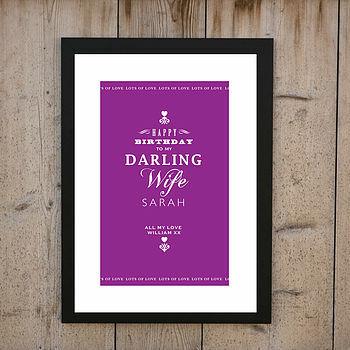 A wonderfully super personalised print that is perfect for your wifes Birthday. You think, you know your wife is wonderful and a darling, you could remind her of this by sending this print. When framed it will become a wonderful memory and a testimony to your love and affection and a constant reminder to all of the wonderful things you have done together. 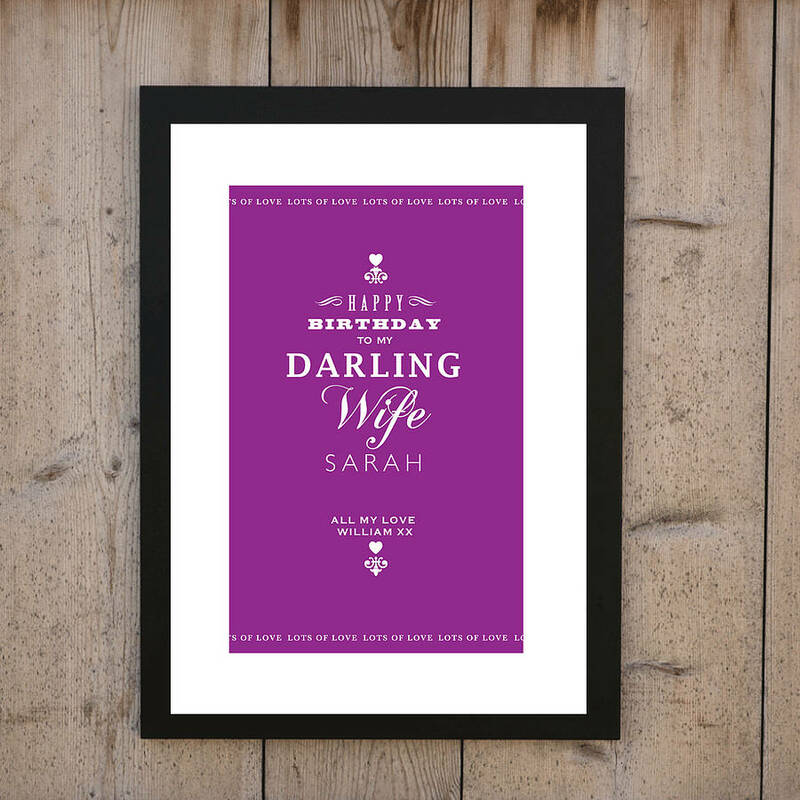 This print has a header and footer saying LOTS OF LOVE, it can be personalised with your own message towards the middle end of the poster. The print comes without a frame and is available at A4 or A3 size and is packed posted flat with a re-inforced card backing. It is worth mentioning that the increased cost for an A3 print is for our increased mailing and print costs to ensure such a large print gets to you in a recorded time and in an excellent condition. Please note that computer monitors can display colours differently and what you see on your screen may vary slightly from the print you receive. on white high quality card using high quality long life archival inks. The print is available as A3 and A4. Print sizes: A4: W 21cm x H 29.7cm - A3: W 29.7cm x H 42cm. This product is dispatched to you by Loveday Designs.